Forty years ago, on a Sunday in May, Frank Jao, a 27-year-old Vietnamese refugee, moved into a small apartment in Whittier. Only weeks earlier, he and his wife, Catherine, had escaped Saigon on the second-to-last American transport plane, as communist machine gunners fired on them from the ground. Jao’s kindly sponsor, a local accountant, told him the United States government would give him a monthly stipend. And he shouldn’t think about working for six months, while he acclimated to life in America. Proud, canny, ambitious, Jao would go on to become one of the nation’s most prominent Vietnamese-American business leaders, as much at home in the corridors of Congress as on a gritty construction site. 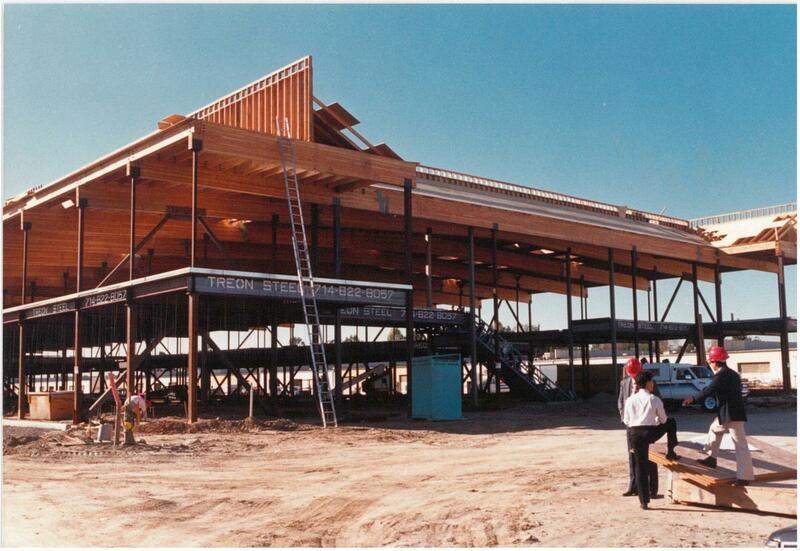 Over four decades, his company, Bridgecreek Group, has developed $400 million worth of shopping centers and residential buildings, mainly in Orange County. 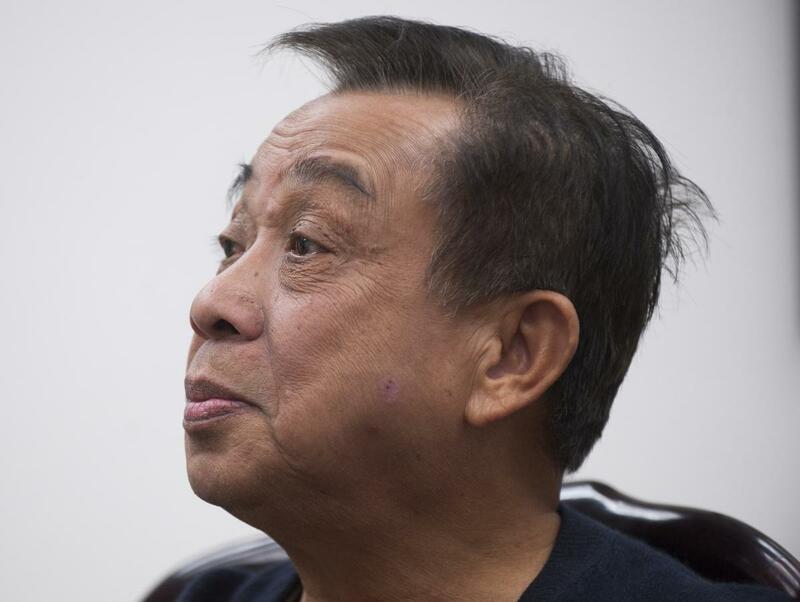 As Jao’s holdings sprawled across more than 50 acres in Westminster and nearby cities, he would become landlord to 1,200 Vietnamese businesses. 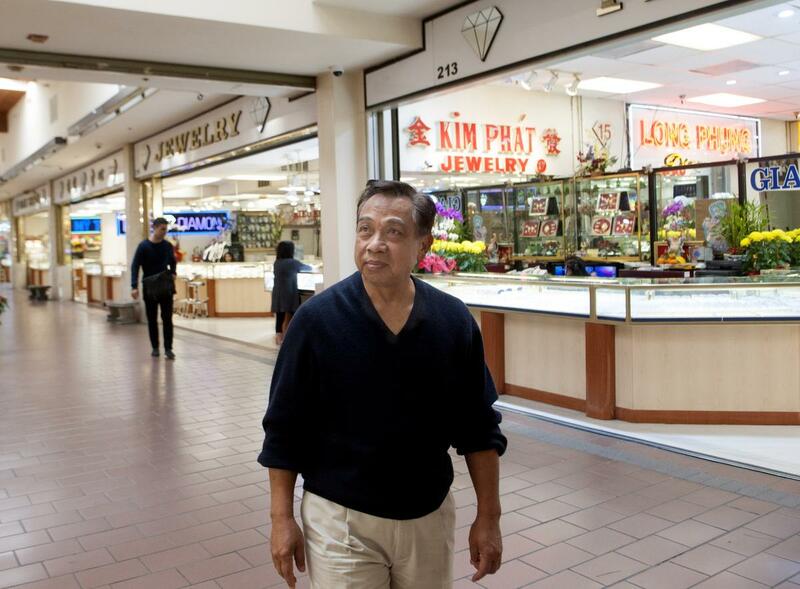 His properties became the nucleus of Little Saigon, the world’s largest Vietnamese enclave outside Vietnam. 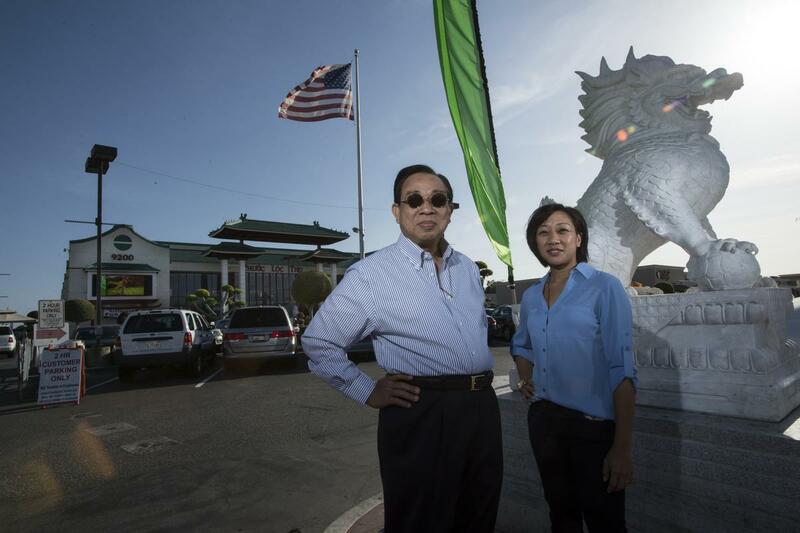 Today, some 9,000 Vietnamese-owned businesses operate in Westminster and Garden Grove. County-wide, residents of Vietnamese origin number about 189,000. 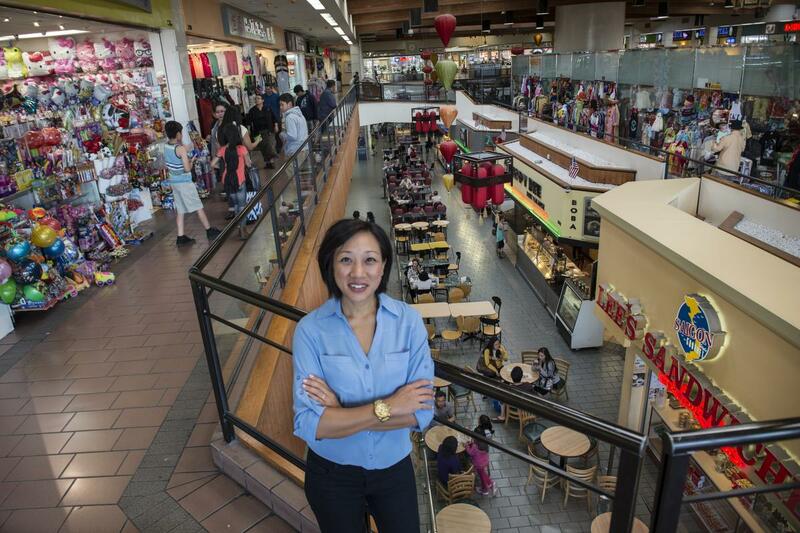 Jao’s two-story enclosed Asian Garden Mall, which opened in 1987, remains Little Saigon’s most imposing structure. Outside the pagoda-style edifice sit four huge statues made from marble imported from China: a Happy Buddha and the gods of longevity, prosperity and good luck. Inside, customers throng 300 businesses: herbalists and cosmetic shops, restaurants serving pho noodle soup and papaya salad, music stores hawking CDs by Vietnamese crooners, boutiques selling ao dai, the tight-fitting silk tunics popular with Vietnamese women, and 200 jewelry booths dealing in diamonds, gold and Rolexes. On the mall’s top floor, visitors stop to kneel and pray before a tall statue of Guang Yu, a scarlet-faced warrior in gold and green robes. A Chinese general in the third century, he is revered across Asia as a god of business. Beside the statue, visitors can choose a card that tells their fortune. Jao’s pan-ethnic approach has stirred controversy. Originally, he had proposed calling Orange County’s Vietnamese enclave “Asiantown,” believing it would attract different nationalities. Hence the names of his early projects, Far East Plaza, Asian Village and Asian Garden Mall. Many Vietnamese refugees, however, prefer to highlight their own homeland, a conflict which came to a head in 1995 when Jao asked the city to float bonds for an ornate $3 million pedestrian walkway, dubbed Harmony Bridge, linking two of his properties. The bridge project was scrapped after opponents criticized the design, decorated with dragons, as “too Chinese” – a fact they blamed on Jao’s ethnic Chinese heritage. His grandparents had immigrated to Vietnam from China. Jao, however, says activists opposed the project only after he refused to make a $300,000 “donation” to their organization. The decades-old controversy hasn’t dented the mall’s popularity. Half its patrons come from outside Orange County, according to a Bridgecreek survey. Candidates for national and state office drop by to campaign. And the mall remains a central hub for local Vietnamese, attracting thousands to its flower festivals, rice-cooking contests and fashion shows. On summer weekends, crowds flock to its “Little Saigon Night Market,” when the parking lot fills with Vietnamese food vendors. In February, Jao, dapper in a navy blue suit, red tie and sunglasses, greeted local politicians and dignitaries at the mall’s Lunar New Year’s celebration. Lion dancers cavorted amid strings of exploding firecrackers as crowds applauded from the sidelines. Catherine Jao handed out small red and gold envelopes with $10 bills to invited guests, the holiday’s traditional “lucky money” gift. Even so, looking back, it seems improbable. Born in a small town outside Haiphong in North Vietnam, Jao was the seventh of 11 children of an impoverished utility clerk. The family moved south to Danang after communists took over the north in 1954. By 14, Jao had left home, supporting himself by delivering newspapers. He was already an entrepreneur, with a half dozen other boys working for him. Jao learned some English as a teenager by taking classes offered by a Vietnamese American association. At 17, he enlisted in the military and was assigned to a security unit guarding American troops. Later, he worked as an interpreter for U.S. Marines in Danang. 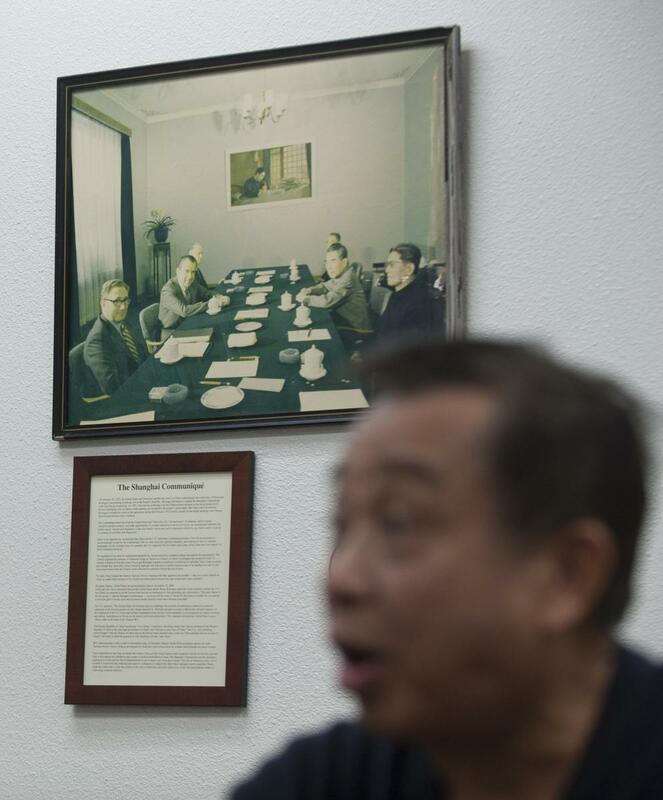 By the end of April 1975, Jao had a job as a salesman for a General Electric and Westinghouse distributor in Saigon when a contact at the U.S. Embassy phoned him and told him to go straight to the airport. On his way, he picked up Catherine, who was working at a local Xerox affiliate. There was no time to go home and collect possessions. If the transition was traumatic, Jao doesn’t dwell on emotions. Three weeks after landing his first U.S. job as a vacuum cleaner salesman, he said, he quit to take a midnight shift as a security guard. During the day, he worked part time as an auto mechanics instructor and took classes at local colleges in finance, real estate and construction. As for sleep: “A few hours here and there,” he recalls. Within a year, the couple had moved to a small apartment in Garden Grove. Jao was working as a full-time real estate agent, while his wife found work as an instructional aide at a local school. Each residential sale earned Jao about $1,000, he said, and by working 16 hours a day, he made more than $100,000 the first year. Over the years, Jao built a network of mostly Asian investors, including other ethnic Chinese. 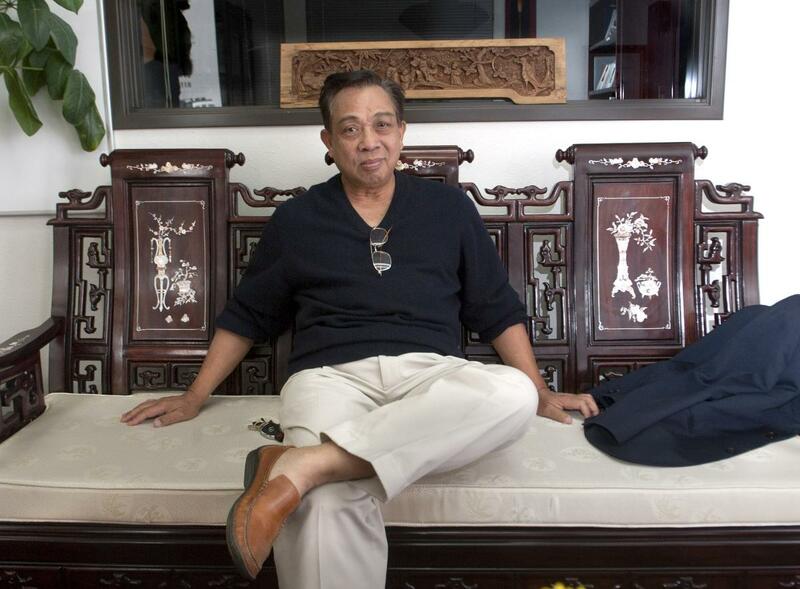 Usman Admadjaja, an Indonesian tycoon of Chinese origin, was an early partner. 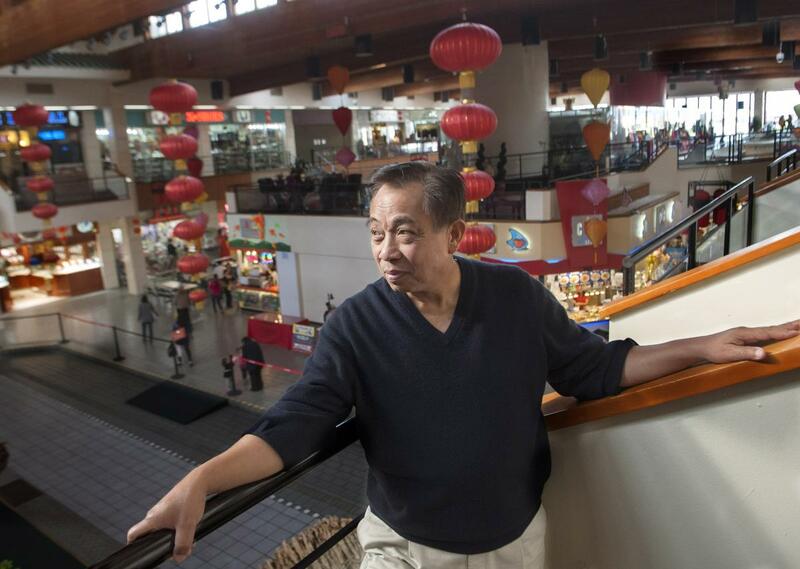 Roger Chen, the Taiwanese-born founder of the 99 Ranch Market grocery chain, owns half of Asian Garden Mall. Still, it wasn’t smooth sledding. In 1981, as the number of refugees soared, 105 Westminster residents signed a petition demanding that the City Council stop issuing business licenses to Vietnamese immigrants. The council refused, but Jao recalls the ugly atmosphere. Sometimes Jao miscalculates. 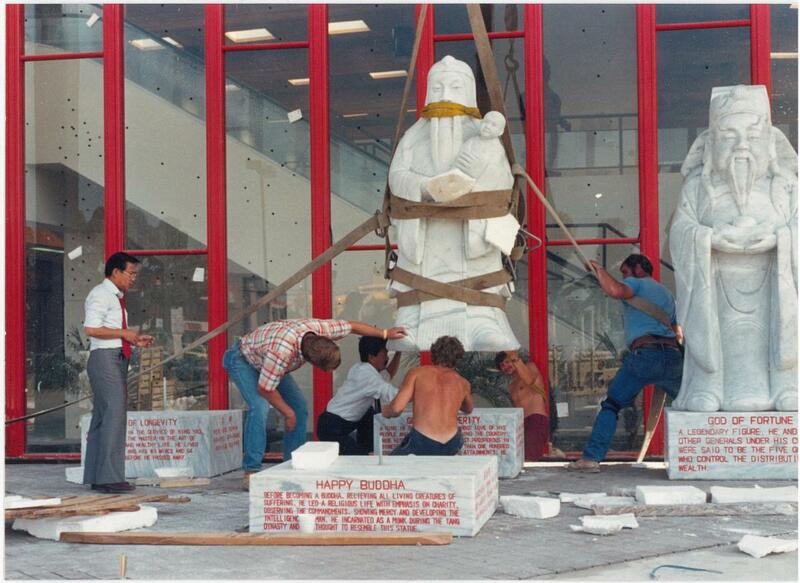 His “New Saigon Mall,” which opened in 1997 behind the Asian Village shopping center featuring statues of Confucius and his disciples and a 1,000-foot long mural of Vietnamese history, was demolished two years later, after failing to attract customers. In 2009, in the midst of the recession, Jao opened a 144-unit $57 million luxury condo project for seniors next to the Asian Garden Mall. By 2011, it was in receivership. In 2013, renamed Jasmine Place, the complex was converted to rental apartments and sold to new owners. In recent years, Jao has sold off about half his Orange County holdings and his attention has turned to projects in Asia. In the past two weeks, he has jetted from Hong Kong to Singapore talking up investors with his 33-year-old daughter, Felicia, and their partner Dennis Nguyen, a Minneapolis- and Hong Kong-based private equity executive. Together, the Jaos and Nguyen own a 180-employee food processing plant in southern China, which imports seafood and vegetables from Vietnam. In 2012, they launched Indochine Essence, a chain of fast-casual restaurants, in China’s Guangdong province. The chain, which serves Vietnamese food, has grown to 21 outlets and is expected to reach 100 by the end of next year, Nguyen said. Why the turn from Orange County to Asia?